Search for the most beautiful New York wedding flowers at a variety of great retailers throughout the state. 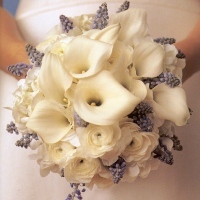 Make your ceremony sparkle with the best wedding flowers NY has to offer! 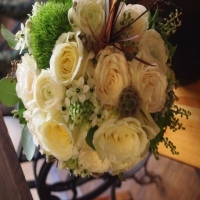 One of the Top-Rated Wedding Florists in New York! Having designed events for such celebrities and public figures like Paris Hilton and the Dalai Lama, Elizabeth Ryan is one of the go-to wedding florists in NY! 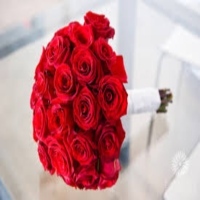 The company possesses a reputation for quality and integrity that is unmatched by other flower shops in the state, and in the country! For more than 25 years, Elizabeth Ryan has provided floral arrangements for weddings big and small. She'll strive to create a magical ambiance complete with linens, furniture rentals, draping, and specialty lighting. The New York wedding florist has received multiple accolades from sources like Zagat, Citysearch.com, and New York Magazine. Schedule your consultation today! Flowers are one of the most important elements of a wedding. Not only do they provide color and scent, but they symbolize life, growth, and rebirth. Beautiful wedding flowers are always conversation starters. After the food and dress, the flowers are one of the things guests will remember. Wedding flowers provides elegance in the venue and highlights the bride’s charm as she walks down the aisle. Beautiful wedding flowers in NY are crafted by Belle Fluer---they can simply make every wedding they cater an unforgettable experience for everybody. The owner, Meredith Waga Perez’ goal is to inspire you with timeless ideas to help you create an event that is remarkably unforgettable. 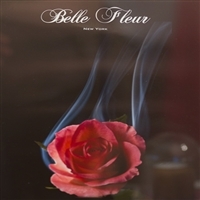 Consider and discuss your options with Belle Fluer to have one of the most beautifully crafted wedding flowers in NY! Wonderful Wedding Flowers From Adore Floral! Among the best places to get the freshest flowers here in New York, Adore Floral provides full flower arrangement services for your wedding. They will make sure that no detail is left undone and the venue will be filled with fresh and elegant flowers wonderfully designed. Plan your special wedding and have Adore Floral make your wedding venue a wonderful place to celebrate. For more information and to book, please visit their website or call them at their number. Exquisite Flowers For Your New York Wedding! Barbara's Flowers can provide all the decorations for your wedding venue, making sure that the place will be a spectacular place filled with some of the freshest flowers that are uniquely designed. Among the best florists here in New York, Barbara's Flowers will work with you all the way to making your wedding a success. Make your wedding a spectacular event and have Barbara's Flowers provide all the best flower arrangements for your venue. Call them or send them an email. They will be more than happy to accommodate you in your needs. Fresh Flowers For Your Wonderful Wedding Here In New York! Have the best wedding experience that you ever had and let Gardenia Organic provide all the flower arrangements for your wedding venue. With the dedication of their staff and experience in providing quality service, they will make sure that all your wedding needs are met by making your venue a spectacular place filled with vibrant colors. 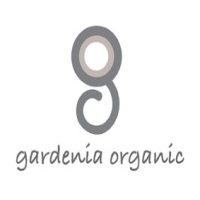 Plan your amazing wedding here in New York and let Gardenia Organic provide to your occasion their outstanding flower arrangements. Amazing Flower Designs By 2h Flowers! 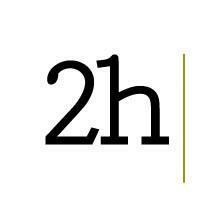 Let 2h Flowers provide the flower arrangements for your wedding venue where they can make the place a wonderland filled with fresh flowers arranged perfectly to fit to the theme of the wedding. Offering their services since 2011, 2h Flowers provides a unique and creative design for the flower arrangements that make a perfect centerpiece for any special occasion. Make your wedding here in New York the one that you will truly be enjoyed and let 2h Flowers provide their flower arrangements for your wedding. A New York Wedding Filled With Some Amazing Flowers! Make your wedding a special and memorable occasion where you can truly appreciate the beauty and the elegance of the place. Have Floresta NYC provide the flower arrangements for your wedding day and they will make sure that all your desires are met. With their dedicated staff, Floresta NYC will transform the wedding venue into a wonderland where all the decorations are perfect to every detail. Plan your wedding and make it a romantic place where you can truly have a great time. Contact Floresta NYC and have them make your wedding day a special occasion. 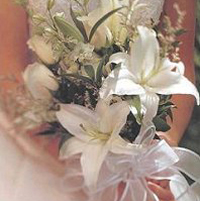 Fresh Flowers For Your Wonderful Wedding! Have Flowers By Brian provide the weeding arrangements for your wedding venue where they will make sure that the arrangements are perfectly right to the tiniest of details. With over two decades of experience in the flower business, Flowers By Brian offers nothing but quality and excellence in providing the best style of flower arrangements that satisfies clients. Make your wedding day special and have Flowers By Brian decorate your wedding venue with their fresh and elegantly styled flower arrangements. Spectacular Flowers For Your Wedding! Let Katrina Parris Flowers provide their flower arrangement service for your wedding day and they will make sure that the wedding venue will be a wonderful site to see. With over 10 years of experience in flower arrangements, Katrina Parris Flowers continues to provide customer satisfaction, dedicated in creating a fresh and unique experience for the clients. 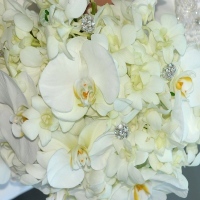 Plan your New York wedding and let Katrina Parris Flowers offer their flower arrangements for the wedding venue. Make Your Wedding Even More Special With Flowers by Richard! Flowers by Richard offers a service of creating a full scale wedding arrangement and making the venue of your wedding even more romantic and magical. Let Flowers by Richard take care of all the decorations at the venue and you will be sure that everything will be simply amazing where everyone can appreciate the beauty and elegance of the design. Make your New York wedding a beautiful and spectacular event and let Flowers by Richard offer their services in decorating the flowers for your wedding day. A Special Wedding Complete With Michael George Flowers! Have a spectacular wedding experience and let Michael George Flowers provide for your wedding day wonderful flower arrangements. 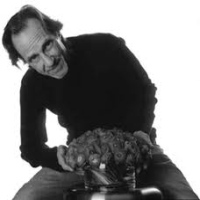 With years of experience in flower arrangements here in New York, Michael George Flowers offers to provide an excellent service in which the arrangements of the flowers makes a perfect attraction for everyone to appreciate. Make your wedding special and have Michael George Flowers provide their wedding arrangements of flowers for your wedding venue. Have A Beautiful Wedding Here In New York! 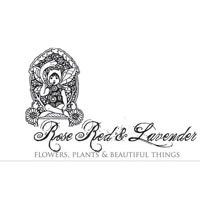 Founded by Kimberly Sevilla in 2008, Rose Red & Lavender provides a fresh and unique flower arrangement design for your wedding, where they will make your wedding venue a spectacular site to see. With their experience in planning the details of the wedding, Rose Red & Lavender will make sure that the wedding venue will be as beautiful as you have imagined. Plan your wedding and make it a special occasion that you will always remember. 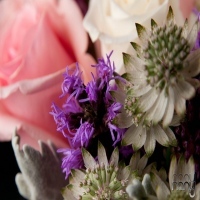 Have Rose Red & Lavender provide their flower arrangement services for your occasion.